We have been hearing about TomTom GPS for a while now. The emergence of iPhone as one of the best smartphones on the market has encouraged many GPS makers to try their hands in this market. The recession may have hit some of these GPS manufacturers hard, but in reality, many consumers prefer transforming their smartphones into mobile GPS devices instead of carrying another gadget with them on the go. So no wonder companies such as TomTom have worked hard to develop decent quality GPS solutions for iPhone. There were many rumors going around about TomTom for iPhone. But so far we had no clear idea how much this gadget will cost. Until now that is. TomTom for iPhone has now hit the Apple store and is going to cost you a cool $100. If you don’t happen to live in the U.S., you can get the version that applies to your region (you have a few options). TomTom has promised to bring its latest GPS technology to the iPhone platform, and it seems it has done just that. But is that app really worth $100? I have given the app a test drive, and it does perform very well. But I am not sure paying $100 for a piece of software makes sense when you can get a dedicated GPS package for $60 or so. 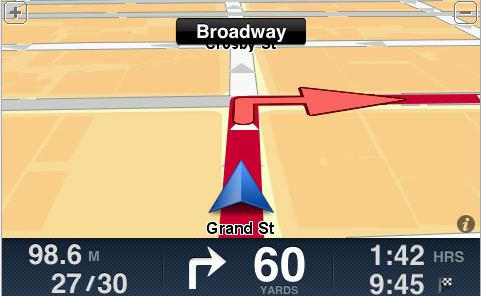 TomTom for iPhone is certainly capable of giving you accurate directions, but it’s not recession friendly at all. 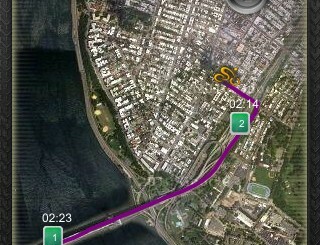 Nevertheless, it should open the door for more sophisticated iPhone GPS apps in the future. Your take: is TomTom for iPhone overpriced?